You can attach people (e.g. 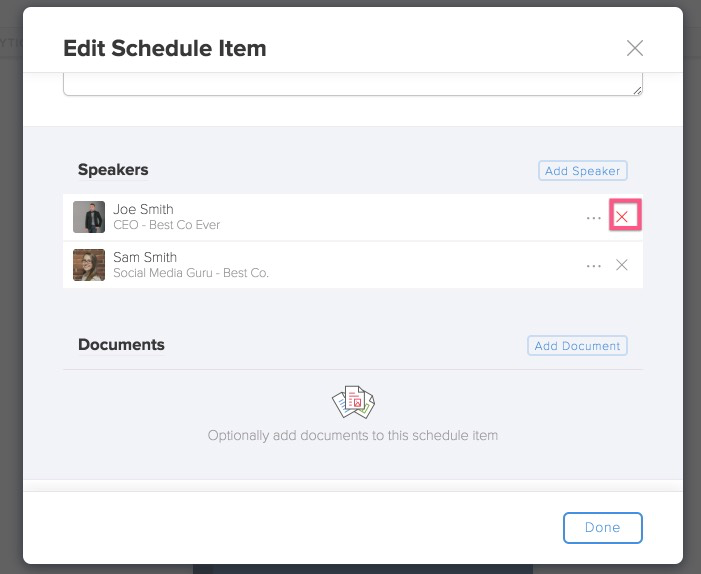 speakers) to schedule items via the Editor so that your attendees can see their profiles with a simple tap. 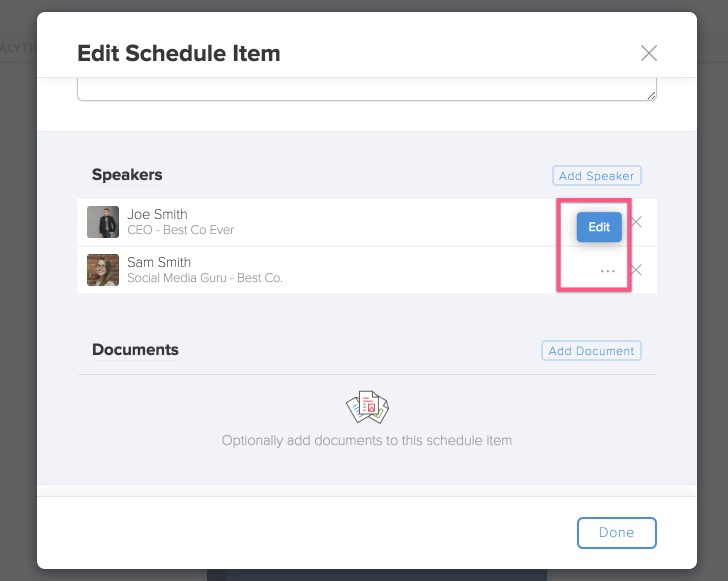 At the bottom of the schedule detail page simply hit "add speakers"
To delete a person added to a schedule page, simply go to "Edit" on the schedule item and hit the "x" next to the person you want to delete. It will only delete the person from this page - not from other pages it is attached to. To edit a speaker, hit the three dots to the left of the x and hit "edit." Editing the speaker here will also update the information for this person everywhere s/he appears.